Here’s a curious fact: The strategy marketers rank most effective for improving email engagement is the one that we use the least. According to a MarketingSherpa study, 39% of marketers said that “automatically sending emails based on triggers” is the most effective tactic for improving email engagement. And yet, an Econsultancy survey which asked marketers “Which of the following practices are a part of your email marketing efforts?” found that only 20% of email marketers use behavioral targeting. Behavioral email, or sending targeted emails to your contacts based on their actions and behaviors, is one of the most valuable email strategies an inbound business can adopt. So why aren’t more businesses jumping in with both feet? A lack of technical know-how and strategic vision make doing behavioral email well a difficult task. To make things trickier, there’s just not that much education out there on behavioral email. This post will walk you through the basics of behavioral email marketing: what it is, how it works in HubSpot, and how you can implement it effectively for your business. Behavioral email is the practice of sending automated, targeted emails to the contacts in your database based on their interactions with your company across multiple channels: social media, email, your website and beyond. Do you remember in school when your teacher dropped a bunch of Mentos candy into a Coca-Cola bottle? If you’ve never seen this experiment, take a minute to check it out. Anyone who experienced that experiment as a child (or who has now watched the video) now knows exactly what to expect when someone drops Mentos into a Coca-Cola bottle. There’s only one outcome. It just feels right. That’s what behavioral email is all about: every interaction that a user has with your company should have an expected and appropriate reaction. Consider this: In a traditional email campaign, the marketer develops an offer like an ebook, infographic, or whitepaper. Then they create a segment of people that might find that offer valuable. Lastly, they email that group of people, often out of the blue. Behavioral email is all about adopting a user-focused approach to sending email. In other words, it is the actions of your site visitors that dictate what emails they receive, not a decision made by a marketer. It is, in essence, the realization of the holy grail for email marketers: the segment of one. Now that we've defined what behavorial email is and why it matters, here is a three-step framework for implementing behavioral email marketing at your business. The first and most important step of running an effective behavioral email strategy is to study exactly which activities HubSpot can listen to, interpret and act upon. After all, you can’t send great behavioral emails if you don’t know the different behaviors available to use as a trigger. The modern marketer has lots of different channels at their disposal to attract, engage, and close people into customers: a website, social media, and email, and we can also include marketing activities like running webinars and conducting surveys. Each channel is a chance to listen to users, learn more about them, and start a conversation based on what you gather. This means that you need a system that tracks, stores and surfaces information about your visitors. Your contact database is the nerve center for all of your inbound efforts. In a lot of ways, it works like your brain: listening to inputs, interpreting them, and deciding how to react. HubSpot stores this information about your contacts in contact properties. data from other integrated software. You can then use that information to send emails to people based on this activity. You can see a full list of the information that HubSpot automatically stores in your contact database by clicking here. And you can find the different ways to trigger a lead-nurturing workflow here. 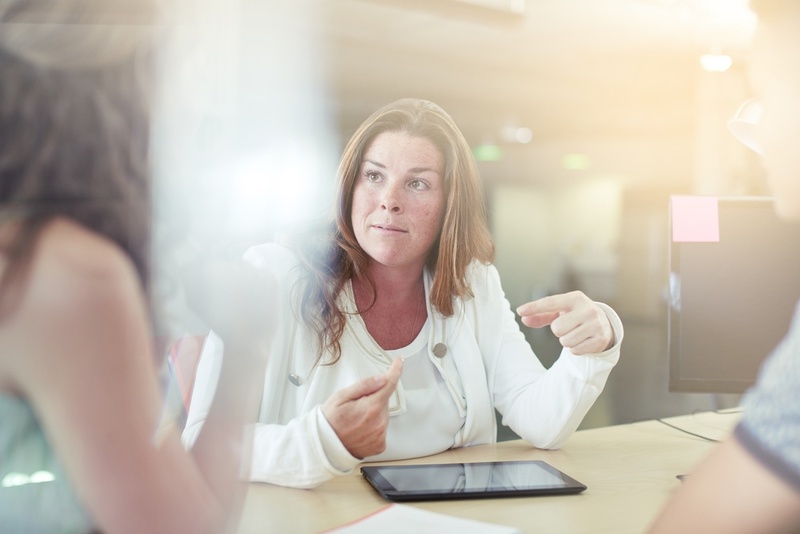 These two resources will be all you need to see the information HubSpot stores and the activities that can trigger your behavioral emails to send. 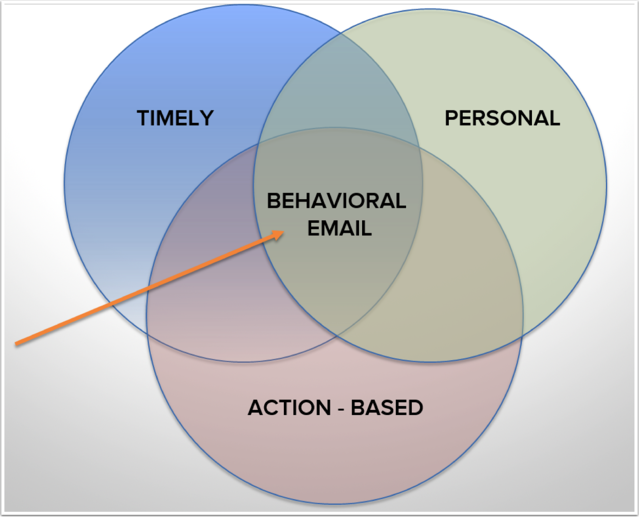 Behavioral emails are so effective because they are triggered based on a prospect’s behavior. As a result, these emails are almost never a surprise. They are an expected reaction to an action taken by a user. That’s the true power of behavioral emails - they are activated by the user, not the marketer. View specific content on website: send targeted follow-up content. If someone views your case study page, send them one of your more popular case studies. Engagement/lack of engagement emails: Send them an email with another CTA or run a contact-re-engagement campaign. Other actions you might consider as starting triggers might be visiting a pricing page, active engagement on social media, subscribing to your blog or reading a specific blog post. This is where knowing your contact database really well becomes important. Once you know what your system tracks, creativity is your only limitation! So you’ve gotten a handle on what information your HubSpot database tracks and stores, and you’ve identified some of the most important activities a user might take. The final step is to write a compelling email so you can start a conversation with the user based on that behavior. And make no mistake: if you’re doing it right, it is a conversation. To quote Scott Brinker of chiefmartec.com, “most marketing automation is really experience design.” I love that quote, because it’s so human. It’s inbound through and through. When you set up a behavioral email, you are creating a highly personal experience. You’ve essentially created a segment of one - which, as we mentioned before, is the holy grail for any email marketer. Think about the social media messages you send, or the blog posts you write. They are the exact same for every reader. The advantage of using email is that it taps into your contact database, which means you can make it highly personal. Behavioral email takes that concept to the next level by creating an immediate response to something a user just did. Make your behavioral emails really pop by using personalization to design a truly unique experience for each person that interacts with your company online. By using software that allows you to automate the emails you send, the timely and action-based portions of the Venn diagram are already solved for you.